Still struggling for Christmas gift ideas for the man in your life? 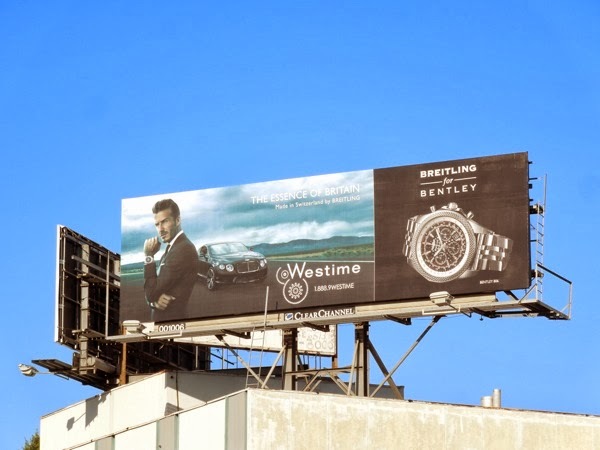 Maybe David Beckham can provide some holiday help with this billboard for the Breitling watch for Bentley. If you're looking for a bit of Brit chic with some Swiss excellence, then this timepiece is obviously for you (if you have a couple of thousand dollars to spend, that is). Who'd have thought the squeaky-voiced English footballer would ever have grown up to be the face of either of these classy brands. 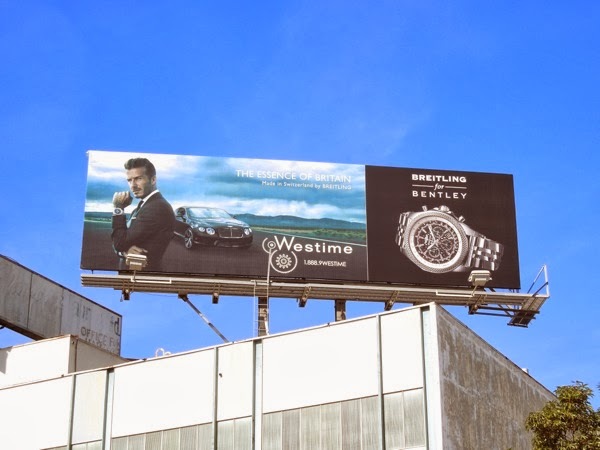 Now the retired soccer star, who has played for the likes of Manchester United, Real Madrid and Los Angeles Galaxy, is estimated to be worth around $300 million with all his fashion lines, advertising and endorsement deals (so he can afford plenty of luxury watches and cars). 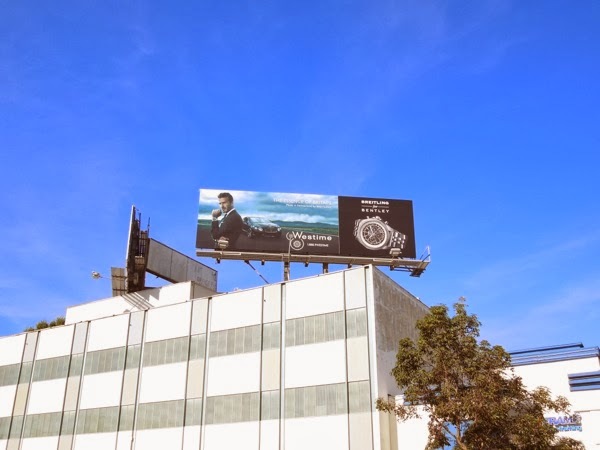 This atmospheric car and watch mashup billboard was spotted high over Beverly Boulevard on November 6, 2013. 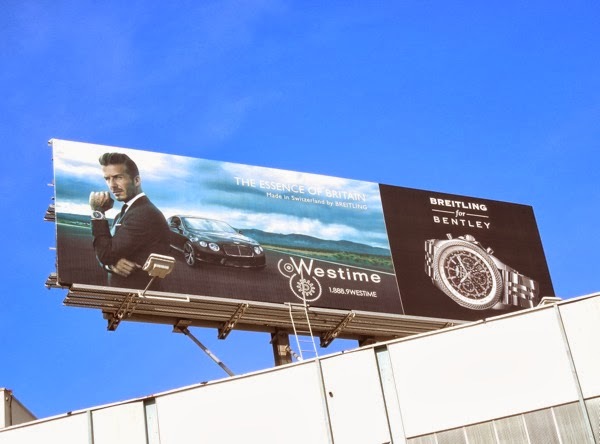 If you like this ad, be sure to also check out this giant David Beckham Breitling World Class Travelers watch billboard from this time last year. 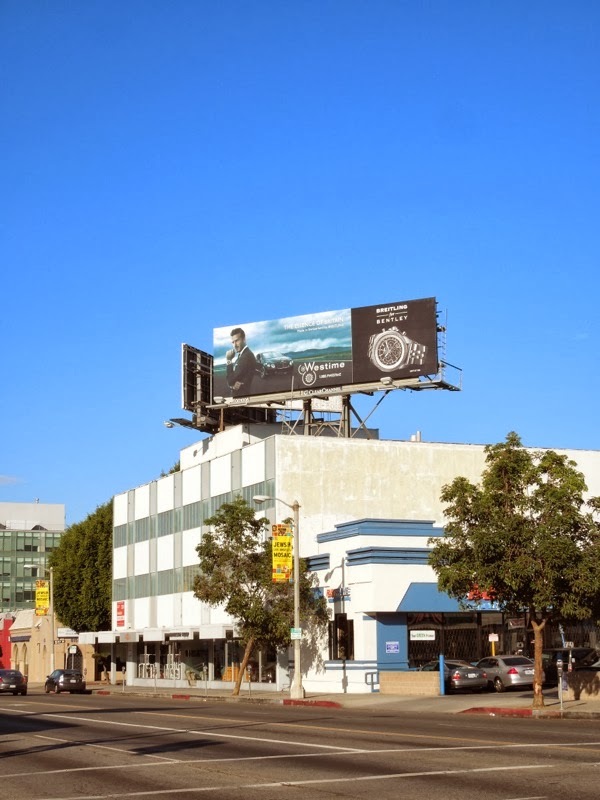 Plus if you're a fan of Posh Spice's husband, take a look at these David Beckham H&M underwear billboards too.